Today’s classroom is an active hub of learning. Students are absorbed in literacy and numeracy as well as social responsibility. The effective teacher is able to balance the variety of student literacy needs by providing a balanced literacy program. If you are a new teacher just starting out or a seasoned teacher who has taught Language Arts in a more compartmentalized fashion (each component is taught separately) and you want to integrate the literacy components for a more balanced approach, then this post is for you! Teaching literacy can be quite overwhelming if you look at all the components. Just teaching students to read is a big deal! Add to reading, writing, oral language and word work and that’s a whole lot of teaching and learning! The only way to “teach less and have children practice more” is to have our lessons count. We need to have efficient lessons that can encapsulate the big ideas or the focus of the lesson in less time. We also need to be able to have students working at a multitude of centers so that they can get their daily practice in while you are running a small reading group. So what are the components of a balanced literacy program? There are 4 main components of an effective reading program: read aloud, shared reading, small group instruction and independent reading time. During read aloud time, the teacher reads a picture book or a few chapters of a novel aloud to the class. This time is an amazing opportunity for students to just listen. It can be very relaxing and calming for them no matter the age. At this time, students should not be asked too many questions as this is a time for them to practice their listening skills, to visualize what is going on in the story and to ask their own inner questions during this “listen to reading” time. This is often done after recess or lunch. Shared reading is a time when the teacher and the students read together. This is a time when the teacher can model what good readers do (ie. fluency, expression). 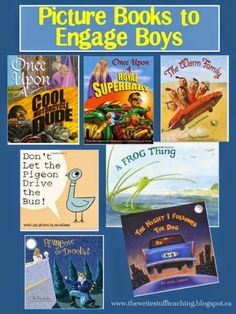 In primary, the teacher chooses a high interest picture book to model pre-reading behaviors and strategies, during reading strategies and after reading strategies. 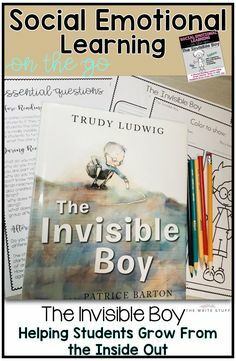 The teacher may point out the title, the cover of the book and ask students to make predictions. As s/he reads, the teacher may stop and ask a question to check comprehension and may even model what they are thinking about as they read. I like to use a thought bubble to do this. 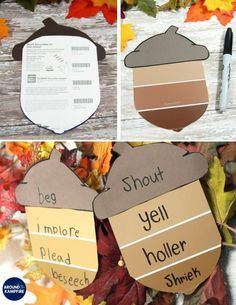 After shared reading, primary students can do a craft related to the book or have a partner chat. In the older grades, teachers can use things like parts from a novel, poetry, picture books or even newspaper articles. Teachers will need to decide what their focus is that day. Often teachers pick a comprehension goal like inferring, connecting, summarizing, predicting, clarifying, visualizing etc. Choose a piece to do your shared reading that matches your lesson focus. Teachers of older students can also model effective reading – especially reading with expression which helps the older students engage with the reading. Pausing while reading, using silence to your benefit etc. are all read aloud strategies that teachers can model as they share reading with their students. Remember, the after reading portion does NOT need to have a written component. So many students dread reading if they know they will have to write after or answer questions. Why not have students discuss the reading, act out the reading and reflect about the reading in conversation? Small group reading instruction can be run in many different ways. Once students have been taught the other components and your routines and expectations of a balanced literacy program, you can begin to pull small groups for more intensive reading instruction. These groups can be based on current reading level or even interest level. For example, if you have a struggling reader that happens to know lots of facts about sharks and you are reading a book about sharks, this student may be invited to partake in this group’s reading session because they can listen and make valuable contributions that will help build interest and confidence in reading. It is a time to listen to your students read and really make a good assessment of their current reading stage of development so that you can continue to plan for instruction to help those students move along. Independent reading is a time when students can read on their own at their own independent level. This gives them time to practice on their own. Fluent readers increase their reading level by reading independently because they read much more fluently in their head than aloud. Another important part of the balanced literacy classroom is writing. If we want students to learn to write well, they need to spend a lot of time writing. When we talk about writing here, we are referring to different components of writing that are meaningful and engaging. Modeled writing is writing that is modelled by the teacher to demonstrate for students what good writing looks like and sounds like. In the younger grades, teachers model proper sentences, punctuation, and simple descriptive words. As students develop, the sentences become more varied and their descriptive words are more personal and unique. Students learn the elements of a good story which includes a beginning, middle and end as a framework. Students also learn about personal writing that can be like opinion writing or persuasive writing. All of these can be modelled by the teacher. Writing anchor charts are displayed so that students can refer to them when they are writing. I have modelled an entire story process from start to finish with classes and then published it in a book so that students could read it later or even order one for their own home. Two effective ways to teach writing skills through modelling are teaching about the 6 Writing Traits (ideas word choice, sentence fluency, organization, voice and mechanics) and teaching using author studies. You can search this blog for more on those. Small group writing can run much like a small group reading group. I have a written a short series of posts describing Small Group Writing which are more detailed. You can read the first one in more detail here. But the gist is that students can be grouped together for writing instruction in many ways. Kids love it when their teacher listens to their writing. What better way than to do it in a small group? 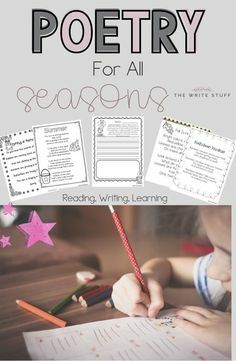 They can be grouped based on skill level and specific writing skills that need to be explicitly taught. They can be grouped based on genre that they are writing. Sometimes it’s just a group to share their writing like an author’s circle. Independent writing is a time when students are thinking, creating, writing on their own. It is a time when students use the skills they have learned to write on whatever the topic is or the skill being emphasized (ie. opinion writing). In my classroom, students spend time talking about their ideas first (which I will talk about next) so this is not a chatting time but they are able to consult the person beside them if they are stuck or want to bounce an idea off someone. Oral language is probably the most underrated (undervalued?) of all of the components of the balanced literacy model. Oral language development from very young children to older students is a key element to help students understand language. Some of the best modelled lessons that demonstrate oral language skills are poetry, classroom meetings, author’s circle, drama. Teachers often get hung up with having students write everything as I have mentioned. Practicing focussed oral language is highly effective to actually improve writing and reading! The best piece of advice someone gave me years ago when I was mentioning that my students needed help in their sentence writing was to insist they answer you in full sentences. Eureka! That did it! It was amazing. If you notice, “talk written down” is a stage of development roughly around the end of 1st grade and into 2nd grade. So, if they are writing what they are saying, why not work on what they are saying? Interactive oral language activities include partner work like think pair share, partner activities of all sorts where partners share each other’s ideas to the class. Active listening and learning to paraphrase is a great way to promote communication skills like listening and accountability. Students can be independently practicing their oral language skills by reading their stories aloud, writing speeches and practicing their speaking skills. Using technology like an iPad to record their writing or speeches is an excellent way for students to self assess their oral language skills. Kids really love word work. It’s one of the ways they can play with letters and words and construct their own learning. When it is focussed, the learning increases even more. 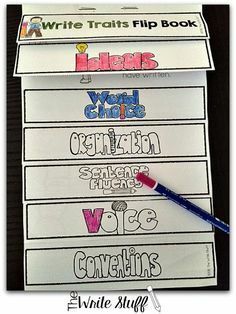 Some modeled word work ideas include making words using magnetic letters on a magnetic whiteboard or the document camera, or using the pocket chart to match words with pictures. Kids love to come up to the camera or pocket chart to demonstrate their learning. This can then become a center once they get the hang of it. 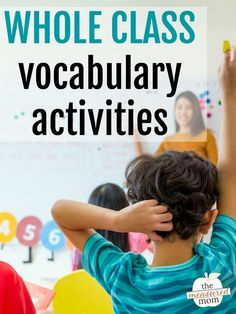 There are some commercial word work ideas like “Words Their Way” and “Making Words” which are effective ways to teach vocabulary and word skills. In a small group, the teacher may want to take some of the above ideas and reinforce them in a small group. Sometimes I do rhyming puzzles with my students in small groups and it’s a great time to reinforce the words aloud and create an environment for small group learning. Interactive word work with older students might include playing some games where students can come up with synonyms or homonyms in teams. Vocabulary work can be fun. Students can try to find the common link between a group of words. (All synonyms) or can do some interactive poetry where they practice poetry skills. 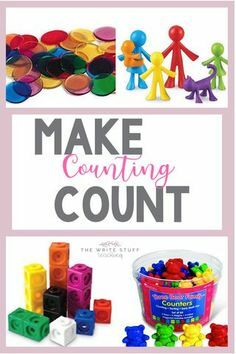 All of these ideas can be worked on in small groups as necessary with older kids. It’s really a great feeling watching students become independent in their learning. I just love to watch students interacting with each other and participating in interactive lessons with me because I know they are engaged in their learning and they feel so proud. When learning is too teacher directed or worksheet based, students rely on the teacher too much for the acquisition of their skills. Literacy learning is a multifaceted and very social process. In the world beyond school, I want my students to feel confident in their reading, writing and communication skills and a balanced literacy program helps them to do that. Do you teach in a balanced literacy classroom? What is your favorite thing about it? Here is an image for you if you would like to pin and share this post with others.